A formal communication strategy will have begun during the negotiation phase. During integration, communication is managed by the integration team and reaches out to more stakeholders, so should be considered in greater detail. Mergers bring great change. Staff, funders, volunteers and service-users will understandably have an interest in how these changes will affect them. Depending on the scale of change, it could change the where they are working, who their colleagues are, how they are managed, what services they are delivering and to whom. Raise the importance of your office space with your staff at a staff meeting. Staff often place high sentimental value on the space they work in and the equipment they use. Frame conversation around what space would be most suitable for the needs of the new merged entity and deal sensitively with the emotional attachment many staff have with their workplace. A successful merger requires the integration team to take steps to build trust with all affected stakeholders and minimise uncertainty. They should be kept well-informed, to prevent the spread of misinformation (which can generate unnecessary obstacles to change), and to ensure desired changes in attitude and behaviour are achieved. Receive and interpret information from these stakeholders, as it is important that their input is reflected along the merger journey. Communication is a two-way process, and it must be timely, relevant and occur frequently throughout the merger process. Effective communication strikes a balance between keeping staff informed and not sharing information that will undermine merger negotiations in the future. It is fundamentally a game of timing. Below is guidance on drafting compelling communication, targeted to key stakeholders. The timeline and medium of communication are also important, but highly contingent on your specific circumstance. This framework can be used to convey to staff, volunteers and donors that you value their contribution, and that their input is critical to the success of the merger. Your framework should employ multiple communication channels. The most important mode of communication is face-to-face, to ensure that critical information has been received and is understood. In this way, you control the narrative around the merger, and address misinformation quickly and effectively. The messaging for each stakeholder group will be different. 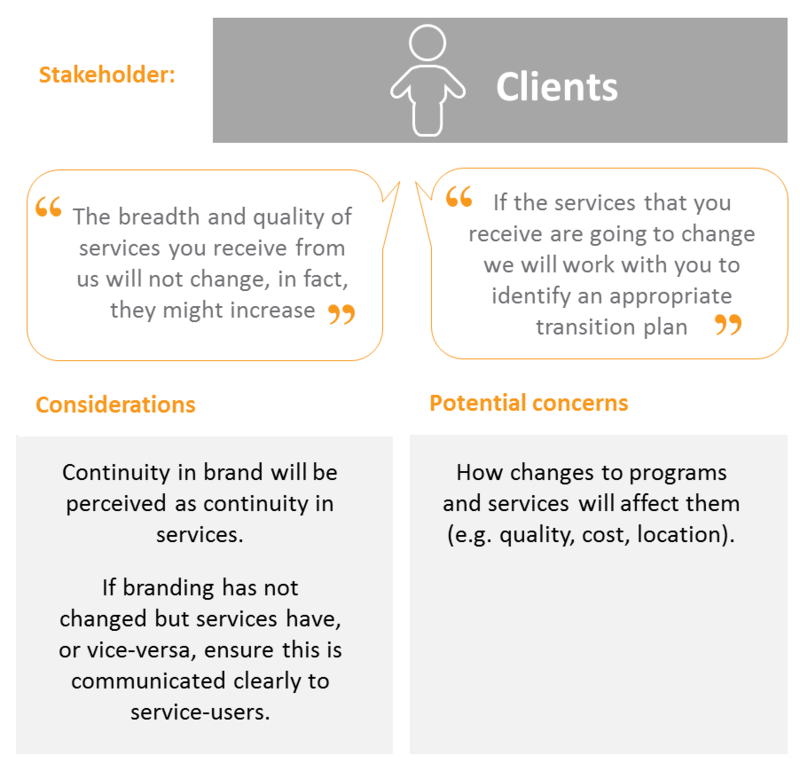 Figure 19 provides some example messages for staff, funders, volunteers and service-users. Figure 20 below provides a timeline for key communication activities for the periods immediately after merger, after the key agreements have been finalised and in the in the subsequent months.